Friendly gated community, Tapadera Estates is located just 20 minutes from Mission next to Sandpiper Golf Course and 25 min to Hemlock Ski area. This custom built home has a lovely open great room plan with soaring ceilings. In this spotle ss well maintained space you have 1 bedroom, full bath, laundry on main floor as well as loft area upstairs with Master bed and ensuite. French doors take you out onto your brand new entertainers deck overlooking greenspace, pond and water feature. Includes gas fire, double garage, ample storage, and NEW ROOF. 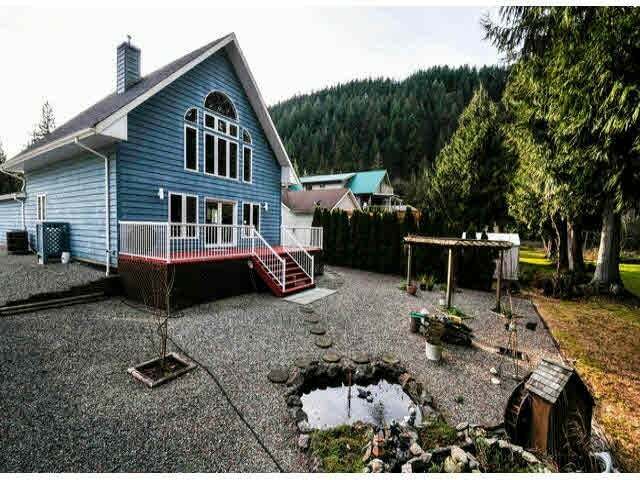 This great resort community features a gorgeous clubhouse with indoor pool, hot tub, sauna, exercise room, pool table, BBQ fire pit, boat launch to Harrison River....endless activities!